Whether you are looking to warm up before your round, work on your game, or take a lesson with a PGA Professional; our facitlities provide you with quality practice facilities. 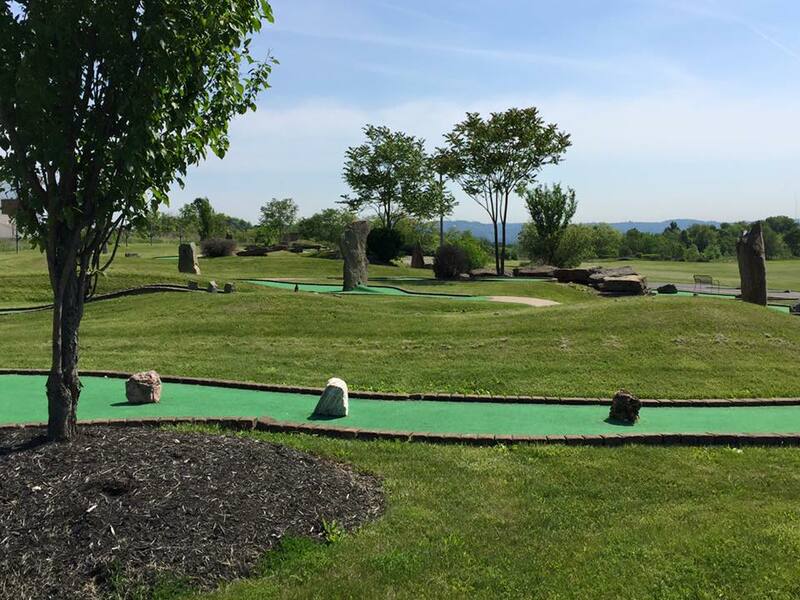 The atmosphere is friendly and welcoming, and you will enjoy the breathtaking scenic view of the City of Pittsburgh, which serves as a backdrop to the range. Located on at the highest point in McKees Rocks, our range is equipped with 36 top of the line new mats, new target areas, and 36,000 new Taylormade Range Balls and our newly built 110 yard grass tee. The new grass tee is adjacent to our short game practice area. Practice your game from 100 yards and in from our chipping area. The proshop is stocked with Taylormade equipment, including clubs, bags, balls, and gloves. We also have Adidas golf apparel. Receive 10 large buckets of balls for $110, a $20 savings! Receive 10 medium buckets of balls for $70, a $20 savings! The TaylorMade Premier Tuned Performance Center Pittsburgh is a premier tuning location featuring the same club/shaft matrix found at the Kingdom and TaylorMade Performance Labs. FlightScope technology is utilized for all sessions. Our Certified TaylorMade fitting specialist is on hand to match the perfect TaylorMade golf equipment to your golf swing, making a large difference in your game. Our Tuned Performance sessions can be conducted both indoor and outdoor, making us one of a kind. When you purchase your new equipment at Vietmeier Golf Center within 30 days of your fitting, we will apply the fitting charge to your purchase. Our proshop is stocked with Adidas apparel to meet every golfer’s needs at the minimum prices allowed. Looking for new grips? Vietmeier Golf Center has a variety of grips from which to choose. Practice on the range while you wait or your clubs to be regripped! Prices dependent on grip choice. Grips range from $8.00 and up. No installation fee when grips are purchased at Vietmeier Golf Center. Looking to adjust your loft and lie, an addition to the golf center is an new Loft/Lie Machine! Precision measuring and bending loft/lie angles. If you are looking for the perfect gift, gift cards are available for every occassion. Gift cards are available in the proshop in any denomination ($25 or more). Looking for something to do with the family in the evenings? 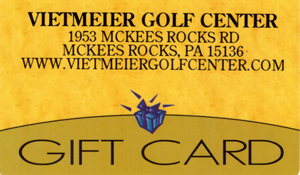 Bring your family and friends to Vietmeier Golf Center and play an 18 round of miniature golf. Copyright 2011-2017 | Vietmeier Golf Center | All Rights Reserved.